The State is a great choice for meeting planners who are looking for a convenient, centrally located place, with accommodations and dining options close by. From Broadway musicals to comedy nights, we offer something for everyone. Credited as a major factor in New Brunswick's ongoing revitalization, State Theatre New Jersey welcomes gatherings from corporate meetings and product launches to fundraisers and fashion shows. 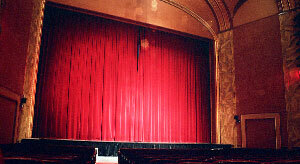 Part of a mini-theater row that includes the adjacent Crossroads Theatre Company, the nation's premier African American theater, and celebrated George Street Playhouse, State Theatre New Jersey sits directly across from another revitalization anchor, the luxurious 248-room Heldrich Hotel, offering 25,000 square feet of purpose-built meeting and conference space. The historic 1800-seat venue offers a unique and elegant setting for your special event. The list of performers, shows, and personalities that have come to us on a rental basis includes Ringo Starr, Sesame Street Live, the New Jersey Symphony Orchestra, Melissa Etheridge, Willie Nelson, Harry Connick, Jr., Barbara Walters, Chicago, and hundreds more. We have also been host to global corporate meetings for Johnson & Johnson, product demonstrations by Apple Computer, graduations for Rutgers University, along with group functions, fundraisers, receptions, marriage proposals, and fashion shows. Visit our Technical Specs page to see more venue information.